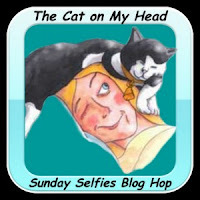 We are joining the Selfie Sunday Blog Hop over at Cat on My Head. 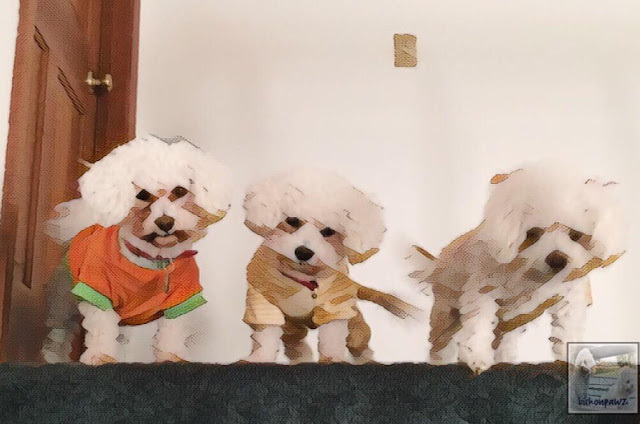 We used the Prisma App to achieve this artistic effect. All three of them were standing at the top of the stairs...waiting for their night time bone!